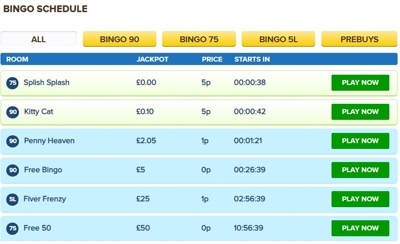 Is Online Bingo The Same As Online Casino? A lot of people associate gambling with either football betting or smoky card games, but if you’re the sort of person that enjoys having a flutter online then there are all sorts of other options available to you. From poker to the lottery, casino games to virtual racing, there’s almost nothing that is out of reach via the internet if you don’t mind signing up with a few different sites. But do you need to join an online casino site if all you want to do is play bingo. Bingo is one of the most popular games in the world because if its simplicity, affordability, and the non-stop excitement of the game. Unlike many other long-form multi-player games that can be found in a casino, you’re still involved in a game of bingo right up until it ends. 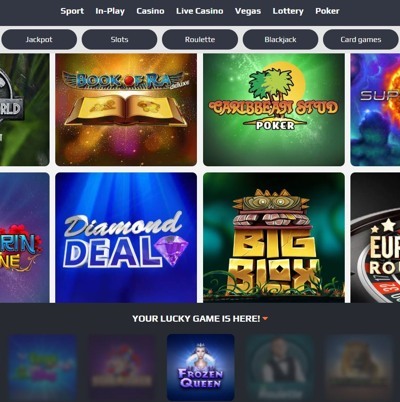 Consequently, it tends to attract an audience that might not otherwise engage in online gambling, meaning some of you might have a fair few questions that you will hopefully find answered on this page. Do You Need To Join A Casino To Play Bingo? The simple answer to this question is ‘no’. As with most things, however, there’s a more complicated answer that accompanies the simple one. There are a whole host of companies that specialise in nothing but bingo, so if you know that is all you are interested in you can join them and you’ll never have to look at anything other a bingo ball again. Playing at a dedicated bingo site means that you won’t be distracted by other products or marketing that is useless to you. It also ensures that every single promotion or offer on the site will be relevant to you. However, plenty of online casinos offer bingo alongside all of the other options on their sites. If you are keen to try some slots as well as wielding your dauber, for example, then this is ideal, mainly because you’ll only need the one account to access everything. The other benefit is the potential to find new channels of entertainment you might otherwise have missed. There is no right or wrong answer here, it is all down to the player in question. If you love bingo and are a fan of a particular site’s loyalty scheme, or enjoy the community factor, then perhaps a bingo only site is for you. Alternatively, if you have always wondered about blackjack and actually find the cutesy personality many bingo exclusive site’s employ irritating, an online casino could offer a more grown up and diverse alternative. 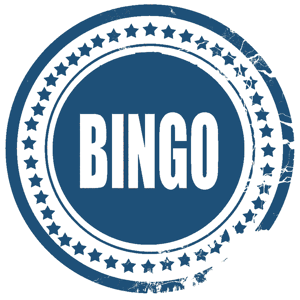 For a comprehensive list of bingo only as well as casino sites that offer bingo visit our sister site, Bingo Websites. That’s the main question answered, but there are a few more things that set casino and bingo websites apart from each other. Although they can be similar in content, the delivery is very different, and this means that your experience as a player will be different. Some bingo companies will give you the chance to play side games, but they will be far fewer than you would find at an online casino. Still, they are a good halfway house if you like the occasional change of pace – perhaps a spin on a slot machine or a quick flutter on the roulette. You don’t have to do that, of course, and usually these options are quite subtle rather than being shoved in your face. More usually, bingo sites simply present you with scores of different bingo games, from 40 ball to 90 ball variations all with different card prices, jackpots, and even themes, and you can choose that ones that suit you. The big prizes tend to be smaller than you will find on casino sites but the games start regularly and some are even free to play. Online casinos, meanwhile, are a Jack-Of-All-Trades. They will have countless different types of games and game categories that they will try and entice you into playing, so prepare for flashy adverts and graphics all over the site. The categories will be split up into sections, so if you’re only there to play bingo then you won’t need to worry about the rest invading your screen’s real estate – unless you click on the tab to play them, of course. Think of it like needing a loaf of bread; you could go to the bakers which is a specialist in that department, or you could go to a massive supermarket and get a few other things while you are there, although you may come out with one or two well advertised items that you didn’t really need. Whether you’re having a go on a 90-ball bingo game or are putting the same amount of money into a slot machine, the reality is that you’re still gambling. Reality isn’t always as important as perception, however, so it’s reasonable to point out that bingo will forever be seen as a more family friendly take on betting than the majority of casino games. This isn’t exactly fair but it is something the bingo sites themselves are well aware of, keeping website themes and logos cartoonish or with a softer edge. Bingo is certainly friendlier on the bankroll as some tickets only cost 1p and a game of bingo will last longer than a hand of blackjack, for example, so in terms of making your money last it certainly comes out on top. However, gambling is gambling whether it be the National Lottery or an all night poker game. If you still need convincing, then consider this: you can well imagine Brenda from the local church committee putting on a night of bingo, but she’s far less likely to suggest a casino evening. 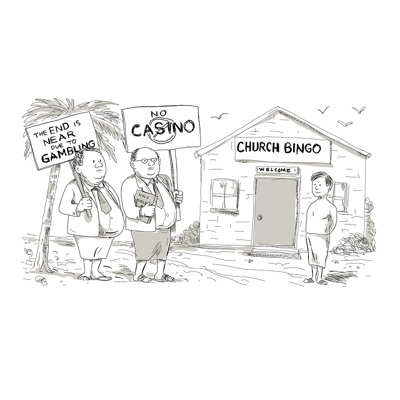 The funny thing about socialisation with bingo and casinos online, is that they are the complete opposite in real life. 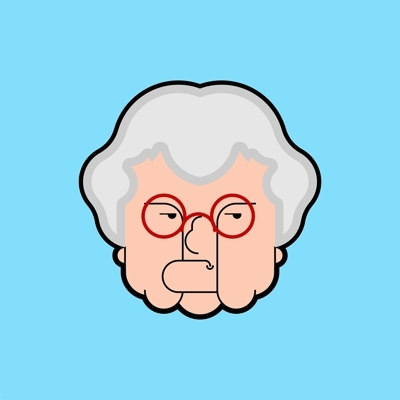 Pop into a bingo hall on a Thursday night and try to have a chat with the person next to you and you’ll likely be greeted with an angry stare and a demand to ‘sshh’. Online it couldn’t be more different; the social aspect of the game is a major contributing factor as to why people enjoy it. 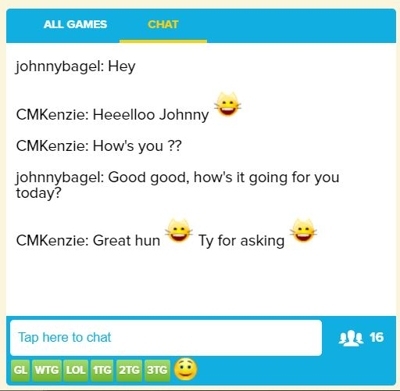 There are regular chats taking place, with camaraderie common to the extent that online bingo chat has its own bingo lingo – “1TG!” “GL” “WTG”. 10 points if you understood that. Flip that around and go to a physical casino in an evening and you’ll likely strike up a conversation in no time at all, perhaps with the gent sat next to you at the blackjack table who wants to share his good luck tales, or striking up a conversation as you reach past someone to place a bet on the roulette. Online, that kind of interplay is far more difficult to initiate for obvious reasons. People tend to use online casinos precisely because they don’t want to interact with anyone; even the chat at Live Casino games is a bit forced and not true to life. The truth is that both bingo and casino games are virtual experiences with fixed payouts that are decided in advance by the software companies which provide them to the casino and bingo websites that use them. In many ways the experience of playing bingo online and using an online casino are very similar to each other – essentially, you wager money and have a chance of winning more. Yet when you dig a little bit deeper, you’ll find that you’re talking about two quite different approaches to achieve a similar outcome. Bingo companies know that the community spirit they engender is a big part of why customers return again and again to use the same site, so they accommodate this as best they can. You don’t have to engage in an online chat, obviously, but most people do and the community is all the richer for it. Online casinos, meanwhile, accept that their users are more likely to be focussed on the task at hand and so they remove any unnecessary distractions accordingly.